Open living space, wall heater in every room. This building was built as a show home. There is no code of compliance certificate for this building. Would make a great sleepout, office space, farm managers accomodation. Big price reduction. 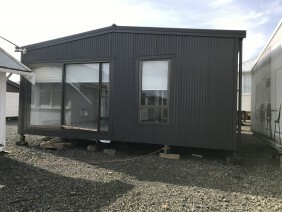 Price includes Delivery within a 100kms of Helensville and lowered down onto standard foundations created by Eurovision.